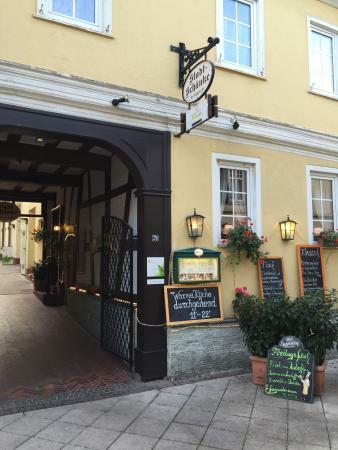 Traditional German food, very well prepared, in a small, family-run restaurant. Very pleasant owner who greets you, waits tables, pours the beer and makes sure that you enjoy yourself. A very nice place in a very nice town. Had a good meal for 9 of us. Service was great and the food was good to great. 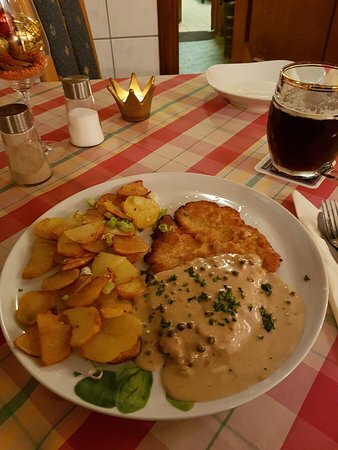 Schnitzel was a good size and with the mushroom sauce, very tasty. Very pleasant dining experience and would recommend for a casual easy meal. Schnittzel are great - value for money too. 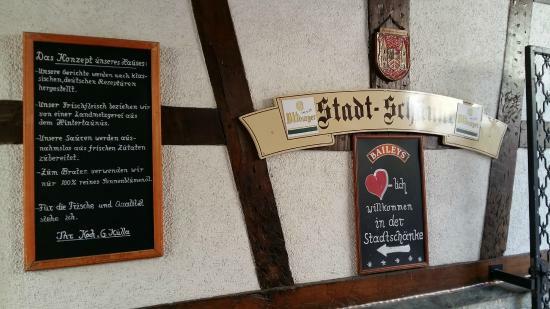 Get quick answers from stadtschanke staff and past visitors.